Hollywood make up Artist, Marilyn Lee, uses the Airelle Eye + Lip treatment to get the stars camera ready! 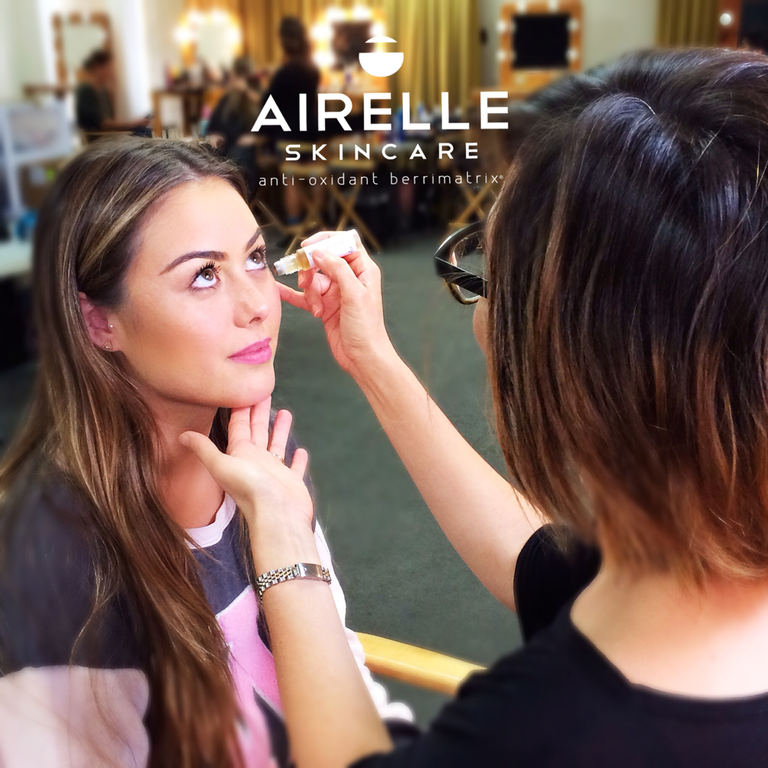 Look like the stars on NBC's The Voice with Airelle's Eye + Lip Treatment! The collaboration began when Stephen D’Amato, First Assistant Director on some of primetime TV's hottest shows, sought the expertise of his wife, Kasey Drapeau D’Amato, an aesthetic dermatology PA with more than 10 years of experience. The pair joined forces in an effort to fill a void in the skincare and anti-aging regimens of many of Hollywood’s top actors, actresses, models, aestheticians and makeup artists. Together, Stephen and Kasey began scouring the globe in search of the most innovative and effective natural ingredients. In addition, they resolved to recruit a team of the world’s leading dermatological scientists and formulators. Their mission was to develop a line of anti-aging skincare products that work fast, help improve the appearance of fine lines and wrinkles, and protect the skin to help prevent wrinkles from forming. Even if you are not a star, it is good for a selfie as well.